Sometimes, you want to make sure that a tab won’t be closed accidentally. This is where pinned tabs in Opera for computers can help. Simply right-click on a tab and select Pin Tab. A pinned tab will stay permanently at the left of the tab bar. 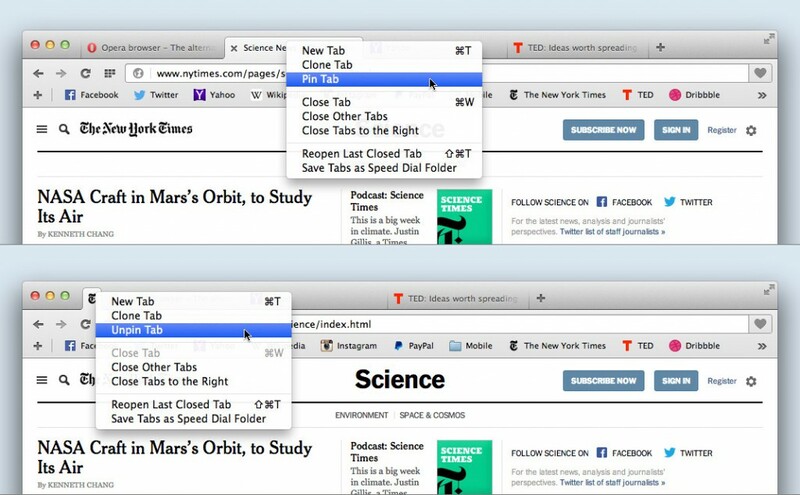 This can be very useful when you have a lot of tabs opened, and you need to make sure a particular tab stays open. You can, for example, pin the tab with your blog — while you’re writing your new post and simultaneously searching for information on other tabs. Remember that you can also unpin a tab. Just right-click on the pinned tab and select Unpin Tab. Take care of important tabs with Opera for computers. 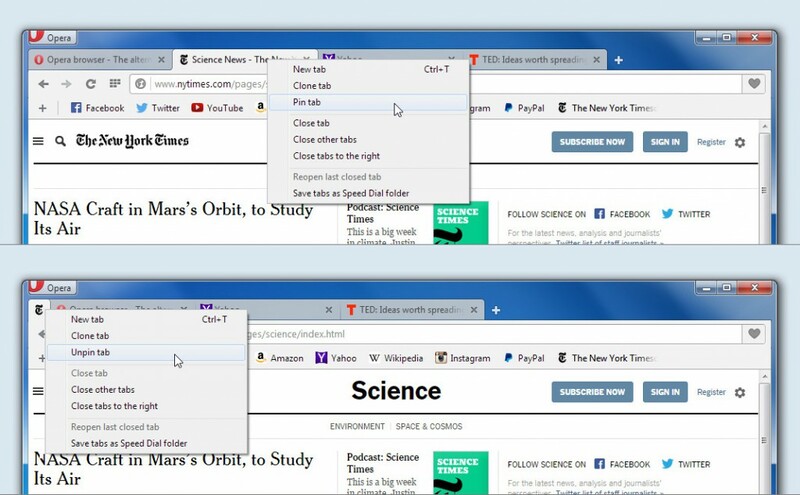 Pinning and unpinning a tab in Opera for Windows is easy. Pin important tabs in Opera for Mac. Try pinning some tabs today with Opera for computers!